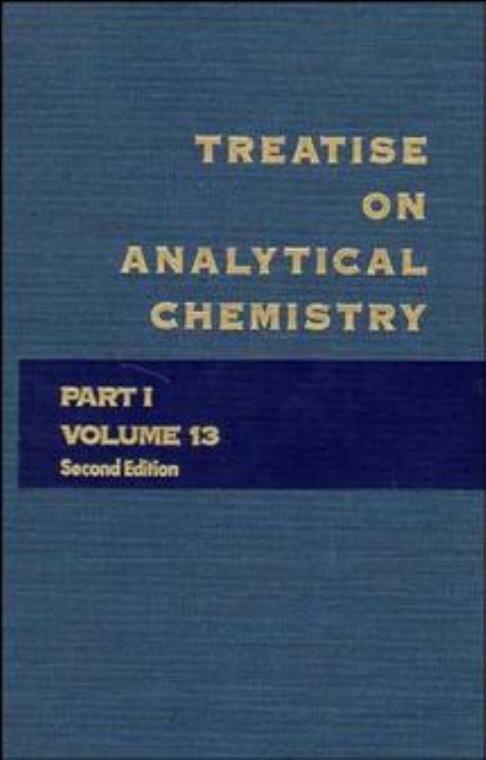 A complete handbook for analytical chemists which has been designed to stimulate fundamental research. The contributors cover aspects of both classical and modern analytical chemistry, as well as the scientific and instrumental fundamentals of analytical methods. Application of Thermal Analysis to Kinetic Evaluation of Thermal Decomposition (D. Dollimore & M. Reading). Thermometric Titrations and Enthalpimetric Analysis (J. Jordan & J. Stahl). Thermogravimetry (J. Dunn & J. Sharp). The Application of Thermodilatometry to the Study of Ceramics (M. Ish–Shalom). Application of Thermal Analysis to Problems in Cement Chemistry (J. Bhatty). Subject Index for Volume 13.